Daihatsu: Fitting winter tyres – HubNut – celebrating the average! 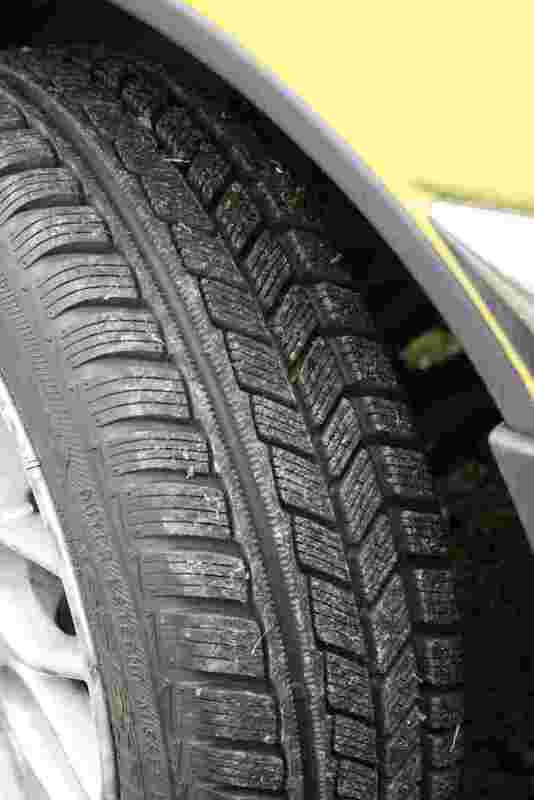 Are winter tyres worth it? My experience last year suggests yes. I owned a Citroen BX Turbo Diesel at the time and I equipped it with winter tyres I had bought from a friend. I was astonished. Sure, the limits were still easily breached if you drove like an idiot – the turbocharged torque was easily able to break traction – but it was stopping that really impressed me. A hydraulic Citroen is not short of braking power and a winter skid is easily induced in snow or ice. The BX on winter tyres stopped almost as well as on dry tarmac. Incredible. Roll on to this winter. 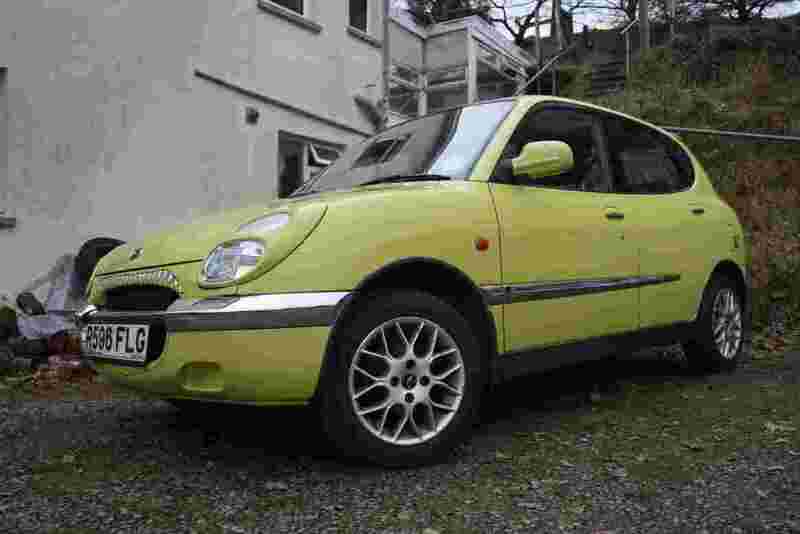 There’s a trip to northern Scotland in the offing later this month and while the 2CV and Land Rover Discovery both have plenty to recommend them, I’ve actually decided to take the Daihatsu Sirion. The Discovery can’t hope to match the little’uns for fuel economy, and with 1200 or more miles to cover in less than two weeks, the 50mpg Sirion will create quite a saving compared to a thirsty Land Rover. The 2CV is already in a dreadful state in terms of bodywork and I’ve no particular desire to make it worse. There’s no denying that it is hard work on a long distance drive, though it has been to the northern tip of Scotland before. That wasn’t in the depths of winter though. With a few mechanical issues to resolve, I think the 2CV will be happier to shelter in my garage. So, Sirion it is. A light, front-wheel drive car can be very good in the snow after all, though it helps to give it a helping hand. The two rear tyres were already showing serious signs of aging, with the sidewalls beginning to crack. New rubber was very much needed and as it is chilly season, I sought out winter tyres. I managed to score a set of unused Avon Ice Touring tyres for £140 delivered. Job done. These tyres have a surprisingly aggressive tread pattern – the ones on the BX (Riken Snowtime) were much more like ordinary tyres. Where both really score is in the compound. They’re much softer, which gives much better grip in cold conditions – snowy or not. Note also that each tread block has its own tread – these sipes maximise surface area in snow and give greater grip. I’ve only driven a few miles on these tyres so far so haven’t yet put them through their paces. The car doesn’t feel any different to drive, though I’d expect it to be a little more unstable if pushed really hard. I drive quickly, but I don’t like to push the limits on public roads anyway. With the BX, I found that wear levels didn’t seem too bad, even on dry roads at motorway speeds – though being me, I didn’t really keep the car long enough to fully test this fact. Noise levels seems very slightly higher but cornering in the wet was truly superb. It felt totally planted. A winter tyre should deliver benefits in cornering and stopping power when the temperature drops below about 7 degrees C. Pretty much the next few months then I expect. One clear demonstration of the limitations of summer tyres was revealed to us just a month or so after moving to our new home in rural Wales. We were away from home and it snowed pretty much all of the day as we battled our way home. Just touching the brake pedal going downhill would induce a skid. Even engine braking was doing so! We then got stuck a few miles from home, very late at night. If a 4×4 hadn’t turned up to rescue us, we would have been stranded. I consider myself a good driver in snow, and the Citroen BX non-turbo diesel had previously shown itself to be pretty handy in the white stuff. We were both totally overcome by a lack of grip in the end though. A month later and fresh snowfall saw the BX stuck on my driveway. I had to deploy my Land Rover to tow it to the road. The same snowy driveway with a BX turbo diesel on winter tyres last winter was easily tackled. There really is nothing like a decent bit of grip, which is why I had no qualms about fitting winter tyres this year. You don’t need a 4×4 to live in the countryside, but you do need decent tyres. Funny how you Englishmen discover the advantages of winter-tires already. 😉 In Austria, it´s completely normal to have two sets of tires. One for summer, one for winter. There even is an obligation to use winter-tires from 1.11. until 15.4. if the streets are icy, snowy or covered with slush. So most of the time. I imagine you get more snow in Austria. To be fair, we usually get no more than a handful of snowy days a year, sometimes not even that in major cities. Given the difference they make though, there’s certainly no going back once you’ve experienced the benefits of winter tyres.